existing, Wi-Fi-connected Touchdown Glasses. 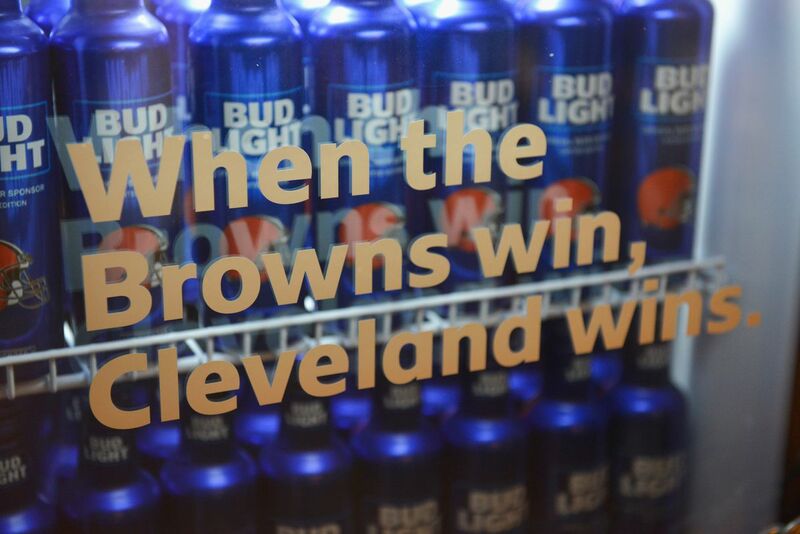 When (if) the Browns win a game this season, all the Victory Fridges will unlock at the same time, letting fans across the city celebrate together in a technologically powered triumph. And who knows? That may even be true, although we’ll likely never find out, given that such a thing would require the Browns towin a game of football. the Browns live in hell. And no amount of cold beer — even ones locked away in optimistically branded Browns fridges — can quench those pains.